UFC 230 takes place in 32 days on Nov. 3 from Madison Square Garden and a main event hadn’t been announced for the show even though tickets went on sale last week. Although Nate Diaz and Dustin Poirier have been pushing for their fight to be for the inaugural 165-pound title, the UFC is not quite ready to install another weight class into the promotion just yet. 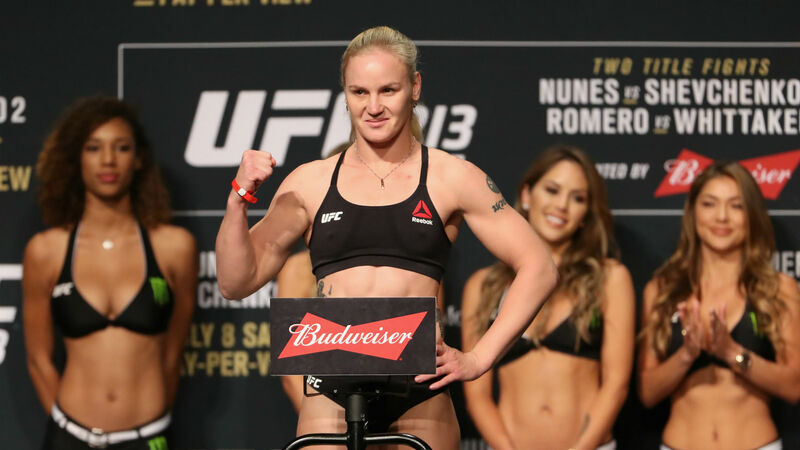 ESPN.com first reported and Sporting News subsequently confirmed that Valentina Shevchenko and Sijara Eubanks will battle for the vacant women’s flyweight championship and subsequently headline the event. Shevchenko (15-3) was set to face Nicco Montano in the co-main of UFC 228. Before the official weigh-ins, Montano ended up being sent to the hospital due to kidney issues and got pulled from the card. Later that day, UFC president Dana White stripped Montano of the belt and promised that Shevchenko’ next fight would be for the title. About two weeks ago, Shevchenko was pitted to battle women’s strawweight champion Joanna Jedrzejczyk at UFC 231 in Toronto. But the UFC felt they needed a title bout to headline what is normally their most important show of the year. The 30-year-old made her 125-pound debut in February, notching a second-round submission of Priscilia Cachoeira at UFC Fight Night 125. Eubanks (3-2) made it all the way to the finals of season 26 of “The Ultimate Fighter”, which the winner would be crowned the inaugural 125-pound champion. Unfortunately, like Montano, Eubanks had a weight cutting issue of her own and was removed from the card after being hospitalized. In her quest to earn a title shot, she defeated Lauren Murphy via unanimous decision at UFC Fight Night 131 in June. Who is Roger Federer’s wife Mirka, when did couple get married, and how many children do they have?